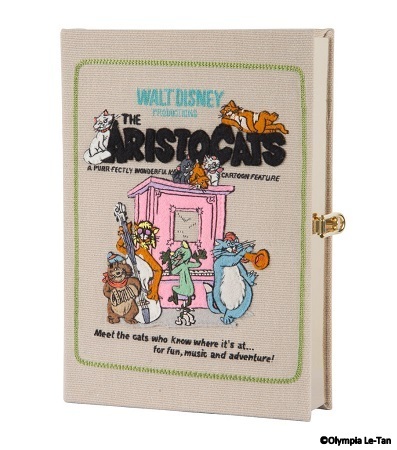 POSTED: Sat, 07/18/2015 - 16:00 | POSTED BY: Traci C.
The handbags come in varying shapes and sizes including purses that look like books, round purses featuring characters including Lady, The Aristocats, Cinderella and Prince Charming, and Dumbo, and rectangular shaped purses with characters including Alice in Wonderland. As amazing as these designer purses are, they're also not for the budget conscious shopper. Prices for these bags can run as high as $1,900! And they will only be available online for a limited time. You can check out all the designs here. What do you think of these designer purses? Leave a comment and let us know. WOW! Those are pretty amazing. And also the cost of a trip for me. SO gorgeous, I love her bags, but yea - I can do a trip for that price.